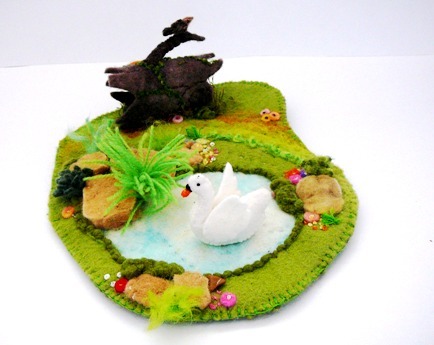 A suggestion came recently about including a swan in a project. This has resulted in a small piece, that has become a swan lake. 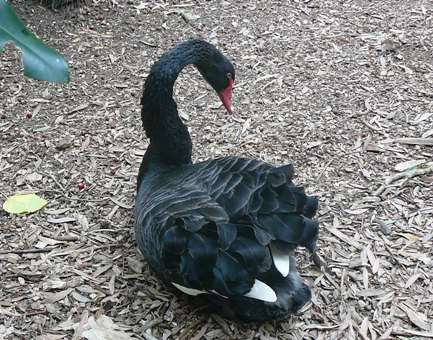 Our Australian swans are black, frilly and quite magnificent. They fascinated me often, in the days when I resided down south, as they seemed to glide so effortlessly and majestically over Lake Burley Griffin in Canberra. That memory came back when we visited Currumbin Wildlife Sanctuary earlier this year. The new swan lake project seemed rather to bring up images of English swans, in this instance a Trumpeter Swan. 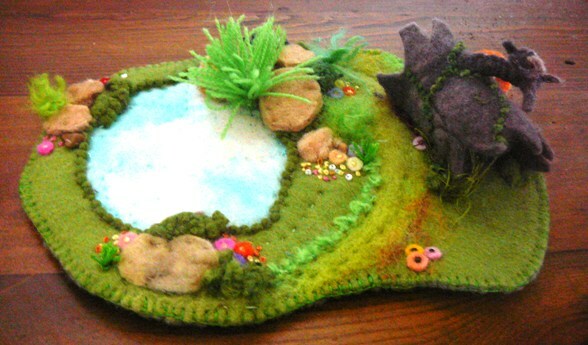 This is a spring themed piece, suitable for a seasonal table or as a teaching aid or story prop. The log is hollow so that it can be used as a home or a hiding spot for tiny creatures or fairy folk. On its branch a tiny brown bird, well camouflaged in the first picture of the scene, and one of those little brown birds that has so many different species. This one sings sweetly and perpetually of the joys of spring. 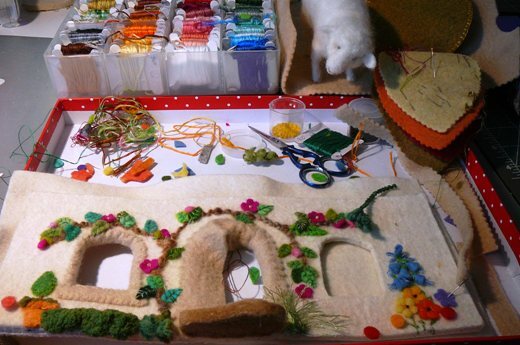 Although this is a tiny project it is designed as a piece to stimulate curiosity and imagination as well as appreciation of the world around us. It is also very tactile so most of the senses will be stimulated and inspire many tales and adventures to unfold. very beautiful! Love the swan and the lake. Looked at some other posts, you have an awesome talent!